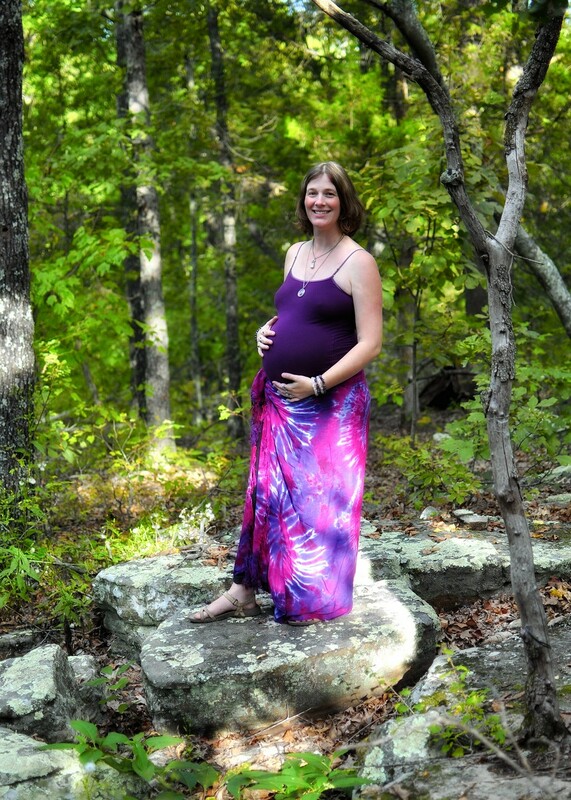 January: winter women’s retreat, spontaneous family morning ritual, family full moon ritual. Nature mandala at summer ritual. February: family Brigid ceremony and Imbolc ritual, seventh Rise Up class, birthday blessing, help planning house cleansing, mini family full moon ritual. March: invocation to the north during opening ritual at Goddess Weekend in St. Louis, Spring family ritual. April: spontaneous family gratitude ritual, spring women’s retreat. June: helped with sister-in-law’s blessingway, Rise Up class. 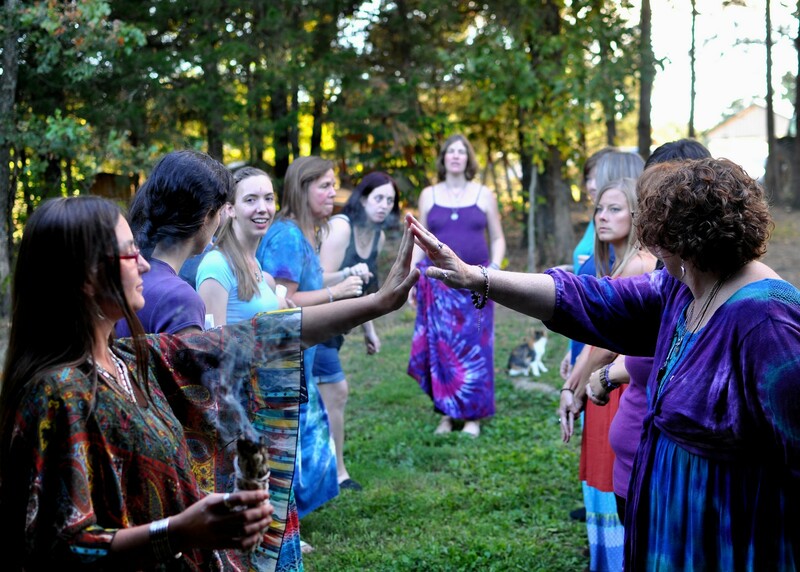 July: summer ritual for the members of my women’s circle and their families. August: Red Tent event, tenth Rise Up class. September: temple priestess at GGG, Womanrunes presentation. October: Gave birth to new baby! 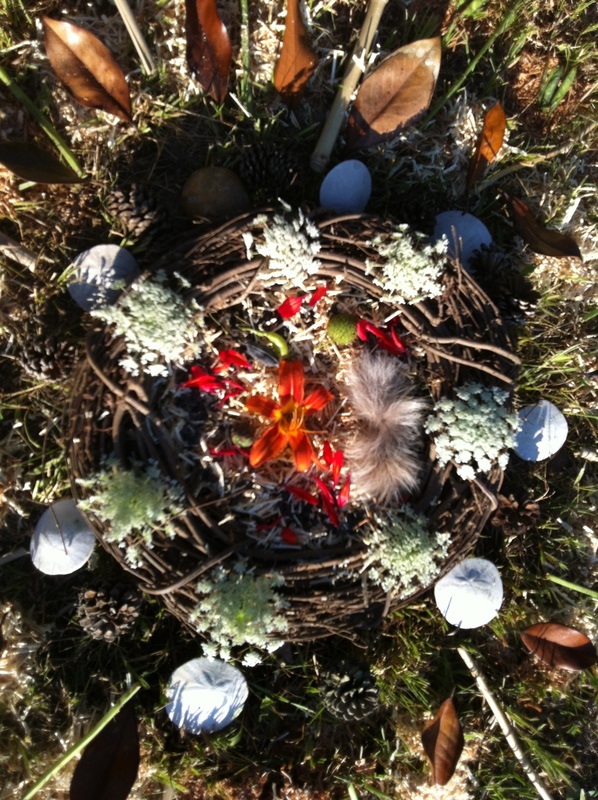 November: family full moon ritual for baby, Sealing ceremony for self. 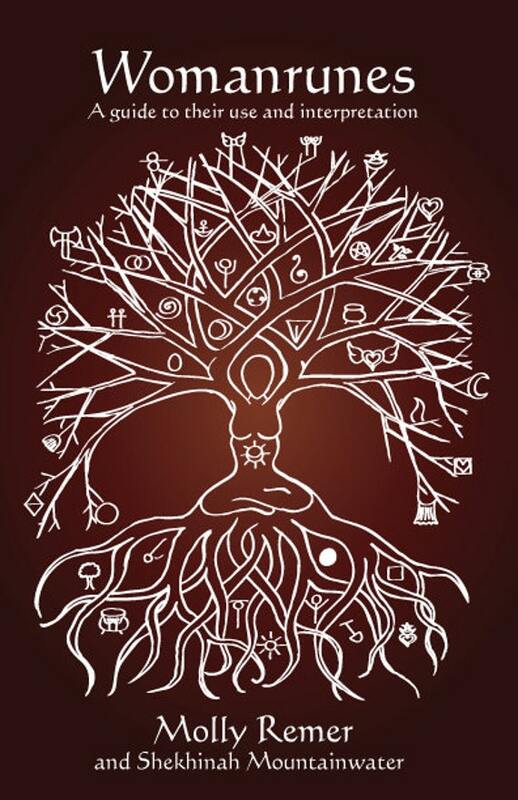 December: full moon ritual, Rise Up finish and ceremony, family solstice ritual, mother blessing ceremony. I took an online training program in circle leadership from Chrysalis Woman and I wrote this post about why Gathering the Women matters to me: Gathering the Women | WoodsPriestess. (I also finally finished reading Women Who Run with the Wolves!) I wrote 47 posts for this blog in 2014, which was a dramatic reduction from previous years, primarily because I diverted a lot of my attention to finishing my M.Div, writing a book, and working on art, sculpture, and jewelry for our co-creative business, Brigid’s Grove (and we had booths selling goddess sculptures and jewelry at five events sprinkled through the year). I completed 7 more classes at OSC, finished my thesis project, and completed my M.Div degree! I only have two classes remaining for my D.Min. In the last days of 2014, a new idea for my dissertation was born and I completed and submitted my prospectus for my dissertation project (and it was approved). I continued to host a (not very active) Priestess Path group on Facebook and started one for women interested in a Red Tent in our community as well. I also maintain my Woodspriestess Facebook page and one for Brigid’s Grove. And, finally, I wrote 15 posts for Pagan Families earlier in the year before decided I was spread too thin with blogging commitments and needed to let something go. Finish last two D.Min classes! Promote and distribute Womanrunes more widely, especially to the Red Tent community, since it is a perfect oracle for use in Red Tent events. Work on several new book and online class ideas! As also occurred last year when I wrote my year-in-review post, when I read this over, it comes up for me to wonder if writing a post like this looks “smug” and self-congratulatory in some way. Am I too focused on numbers and hours and quantifying something instead of presence? Too much do-ing and not enough be-ing? But, in truth, the intention with which each year’s list is created is simply as an accountability thing—both in terms of the vows I made to my community as well as to myself. It is so I can see, collected in one place, what I’ve offered as a priestess this year. It is to allow me a moment of pause, reflection, review, and a sensation of a job well done, rather than immediately rushing off to the next thing, as I tend to do. I continue to struggle with issues of “who does she think she IS?” with regard to priestess work (this forms an element of my dissertation project, actually!) and in reviewing my year, I am able to see that yes, I am doing this work. I am not just talking about it or imagining it, I am walking the path.